Though he’s read WoodenBoat magazine for most his adult life, Andrew Noble of Basket Range, South Australia, finally built his first boat. 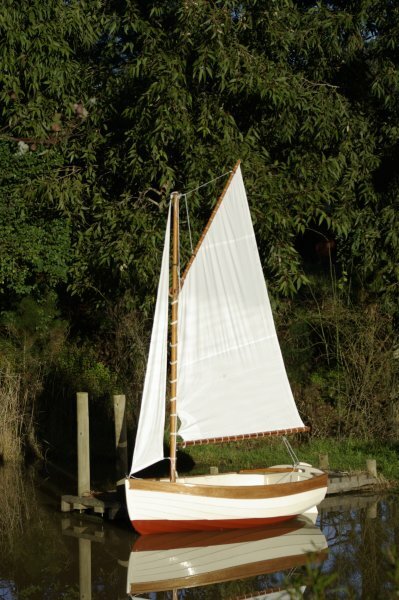 MOLLIE is a 7′10″ Auk design by Iain Oughtred, and carries 42 sq ft of sail. Andrew bought the plans from Duck Flat Wooden Boats. He built her mostly from marine plywood, and scrap odds and ends, including quarter knees from an Australian oak wardrobe. She is named for Andrew’s grandmother.